Updating your smartwatch can feel like a chore, but it's something you have to go through if you don't want your wearable riddled with bugs and security holes that a hacker could drive a truck through. Software updates are about more than fixing and protecting though; they can also introduce some cool new features that your piece of tech didn't previously have, and that's absolutely the case with Google's latest Wear OS updates. If you want to know the how to update your smartwatch to the latest version of Wear OS, we break it all down below. Google now splits Wear OS updates into two. First is the underlying system version, which is like the version of Android you run on your phone: it brings the most major changes to Wear OS, and needs to be tweaked and approved by the manufacturer of your watch before it'll appear. At the time of writing, the most recent system version is the System Version H update, which introduced some battery saving features and a better way to turn off your wearable. 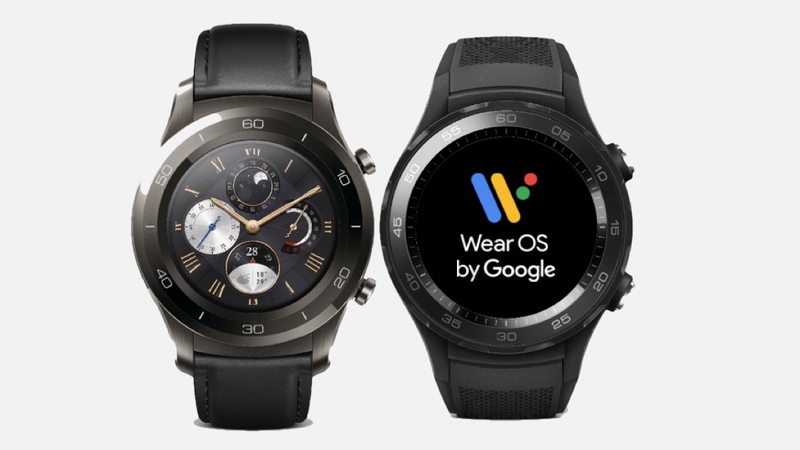 However, so that it can push updates out without help from manufacturers – and still reach watches that are no longer being supported by their makers – Google also provides what are confusingly called Wear OS updates. In this context, Wear OS is actually an app that's updated via the Play Store, rather than the watch operating system as a whole. It controls less fundamental features. So a Wear OS update typically includes changes to the user interface and bug fixes. All this terminology can be difficult to follow, because system version updates are really Wear OS updates too (and will often be referred to as such). Bottom line, your watch will get both system version updates (like Android updates) and Wear OS updates on top, both of which are often called Wear OS updates – though if you're using an older device you might no longer be eligible for system version updates. Tap Versions to see both your Wear OS version and System version (on older watches this might be called Android version). We'd love to present you with a simple and quick method for checking which Wear OS updates are available for your smartwatch, but most of the time you're going to have to do some digging on the web whenever a new version is available. The official Wear OS support pages are a good starting point. Here you'll find details of new system updates (like System Version H). This should give you some details of the updated features that are arriving and which devices they'll work on. You should of course also keep your eyes on the site, where we'll pass on any information we've got about the devices that will or won't be getting the latest in Wear OS goodness. If you've bought your wearable in the last year or so you'll usually be okay, but older devices can sometimes be left out. For the most accurate and up-to-date news on whether your watch will get a new version of Wear OS, speak to the device maker directly (or check the relevant support forums on the web). Reddit is also a good place to lurk, as you'll get regular updates on new versions and watch compatibility (often from smartwatch owners). We've already spoken about a technical distinction between system version updates (the operating system) and Wear OS updates (an app on top of the OS), even though both are often simply referred to as Wear OS updates. Because the latter type of Wear OS updates are handled via the Play Store, they'll often magically appear on your watch without any input from you. They usually arrive more quickly too, because they don't necessarily need manufacturer approval. Head to the apps list (often accessed via a push on the power button) and pick Play Store. Swipe down from the top of the display, pick My Apps (the left-hand icon), then pick Update all. To keep Wear OS (app) updates updating automatically, go to the Settings screen on your watch (via the apps list or with a swipe down on the watch face), then turn on the Auto-update apps option. It's the same method for keeping individual Wear OS apps up to date on your watch, just like you keep apps updated on your smartphone. Keep the auto-update feature switched on and they'll be updated automatically, or run a manual update whenever you need to. Pick Settings from your apps list. Select System then About, and scroll down to choose System updates. If an update is available, it'll appear here and can be applied with a tap. Alternatively, if an update has downloaded in the background, you might be prompted to install it the next time you wake up your watch. Any questions about any of the above? Let us know in the comments below.